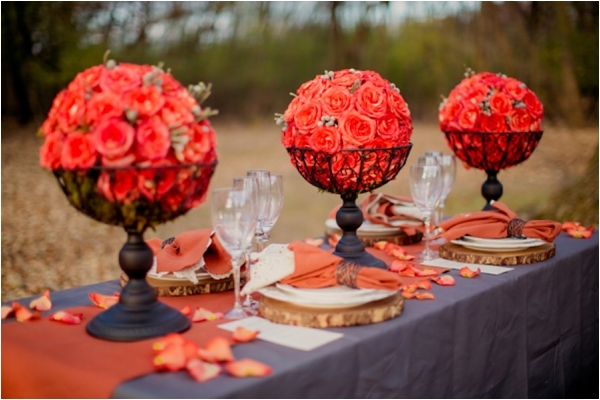 From Eugenya, of Yellow Diamond Events: "A few months ago I came across one of the most unique floral designs; exquisite pomanders hoisted up on large rustic pillars. 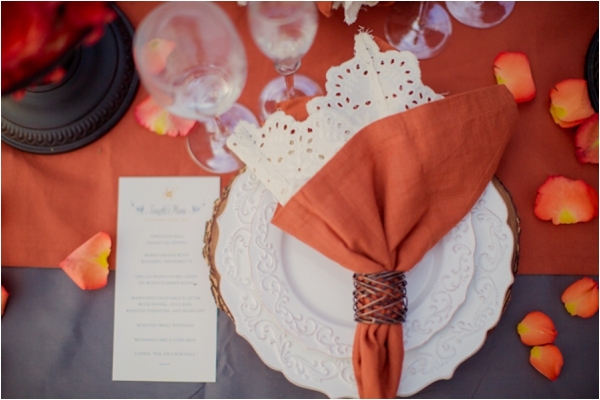 I ran with the idea of this floral design for a fall inspirational shoot, with orange and grey table decor mixed with some rustic accessories-the wood bark chargers had me all sorts of excited! 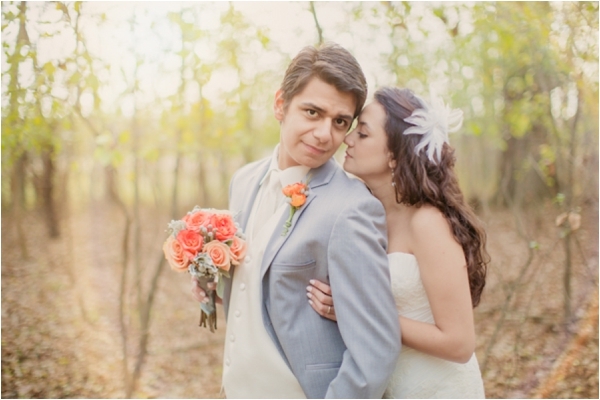 To capture the elements of the fall season, I chose Busse Woods Forest Preserve in Schaumburg,IL. 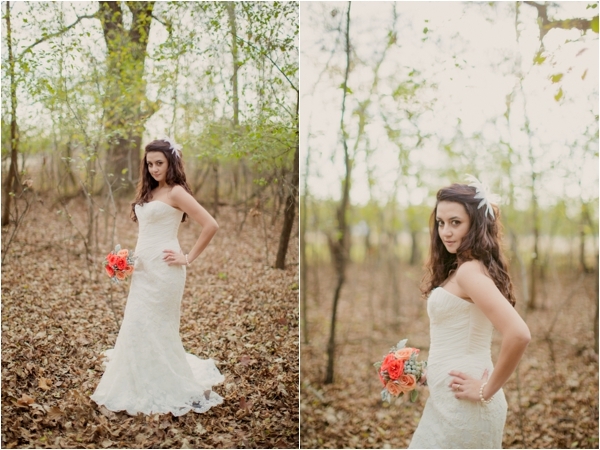 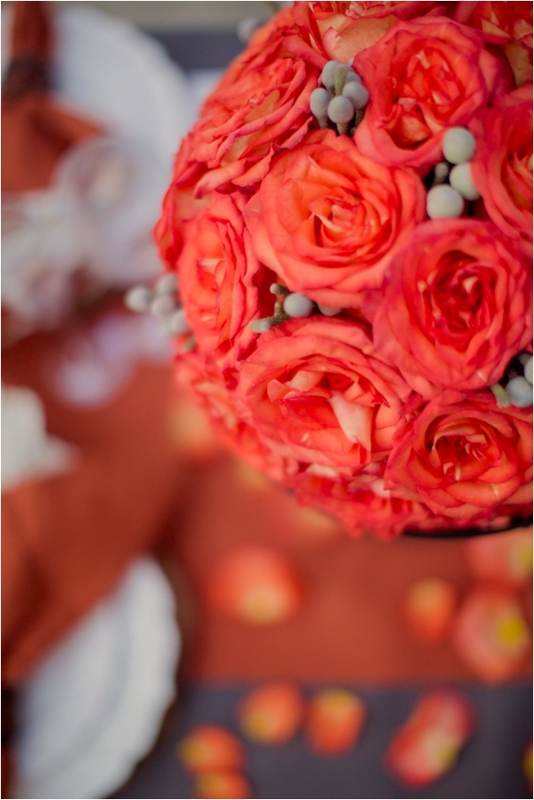 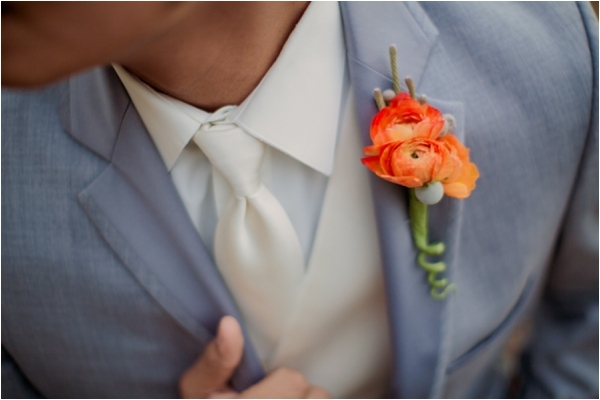 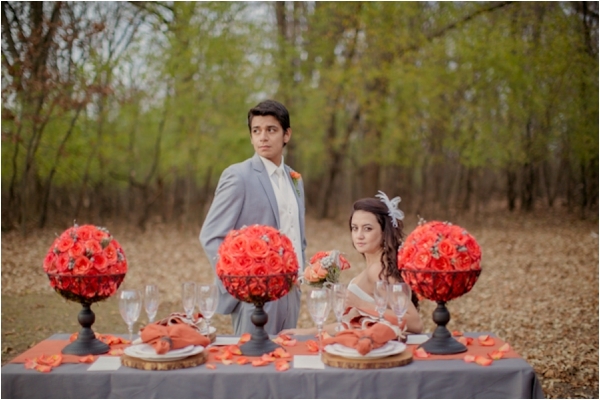 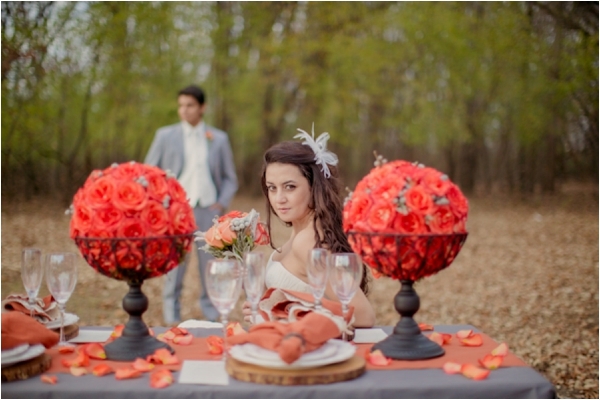 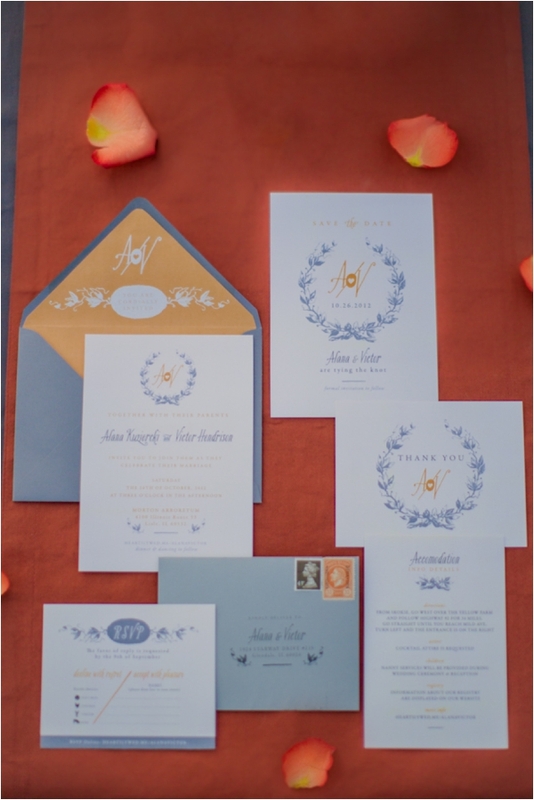 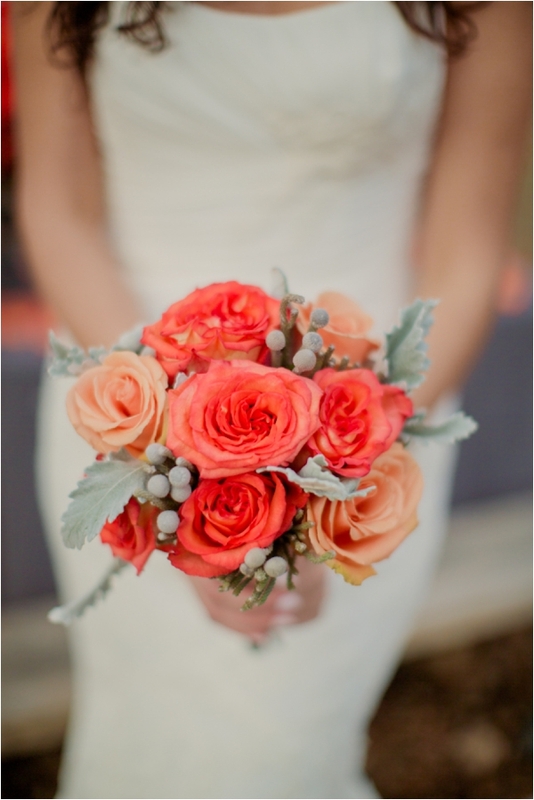 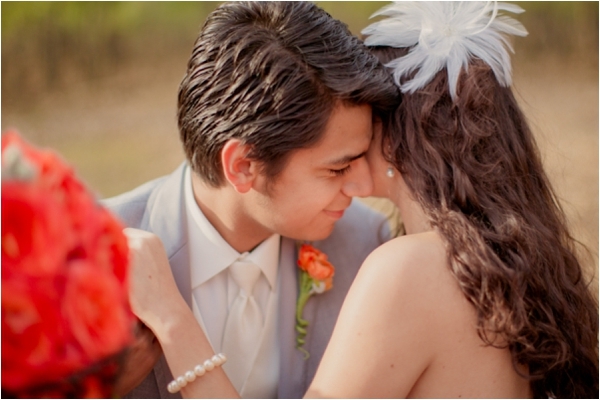 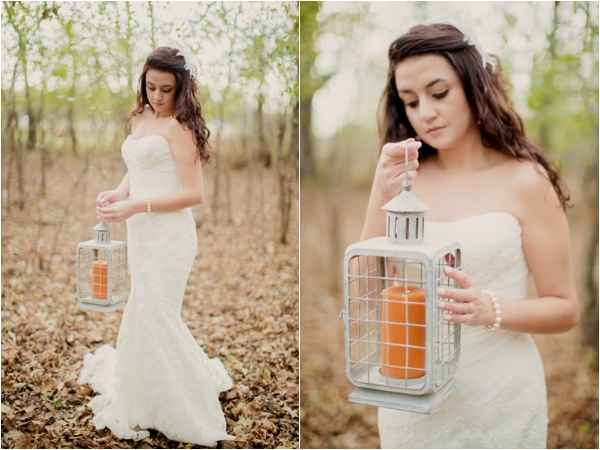 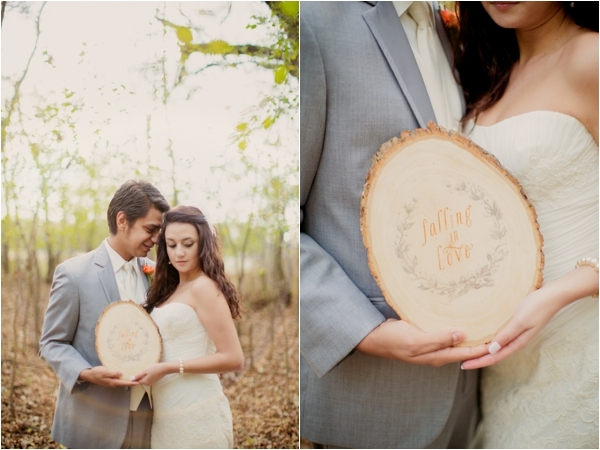 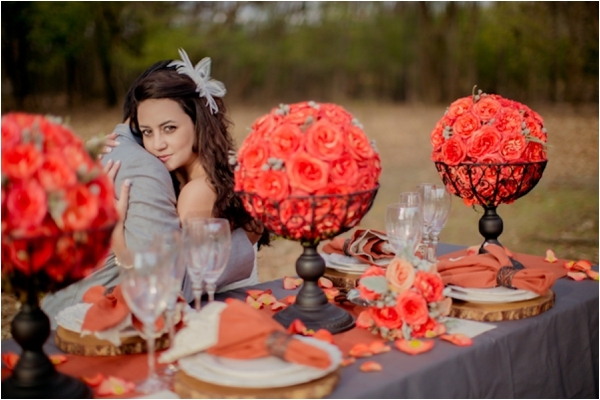 With the serene background of the forest, the pop of orange (especially from the stunning centerpieces!) 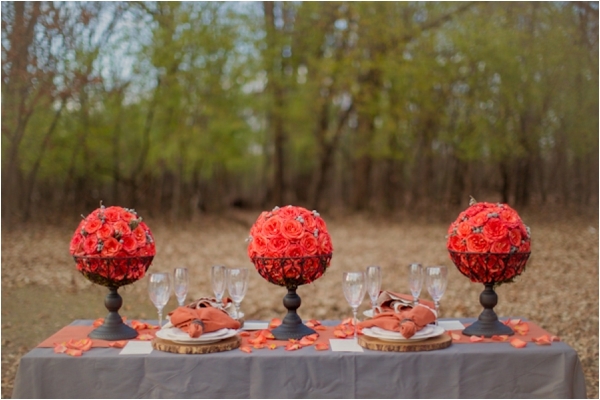 provided such a simple yet beautiful setting. 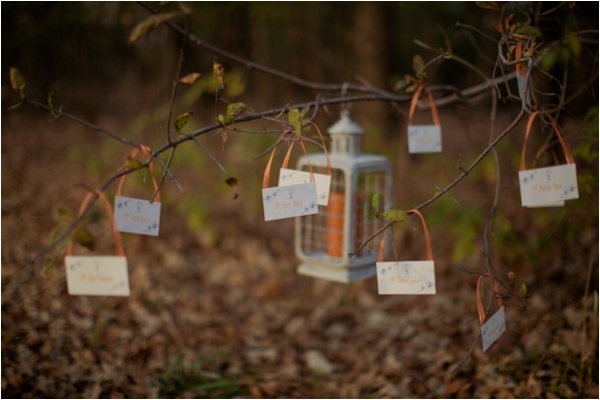 I couldn't help but be reminded of a particular saga while looking at the passionate images of the models in the forest. 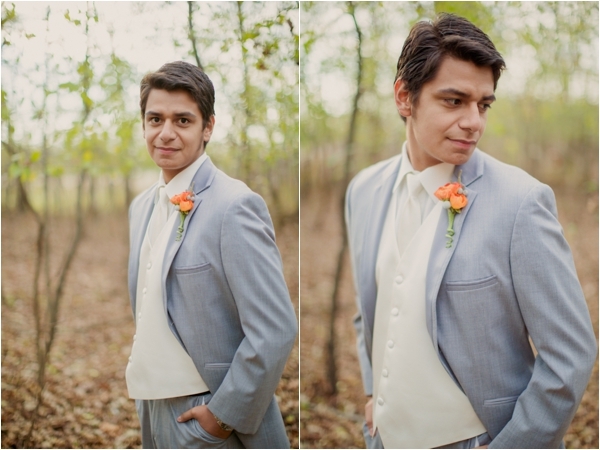 Perhaps it's no coincidence that the tux worn in the shoot is called "Twilight".With a team of amazing wedding pros and gorgeous models, I am beyond excited with the final product. "